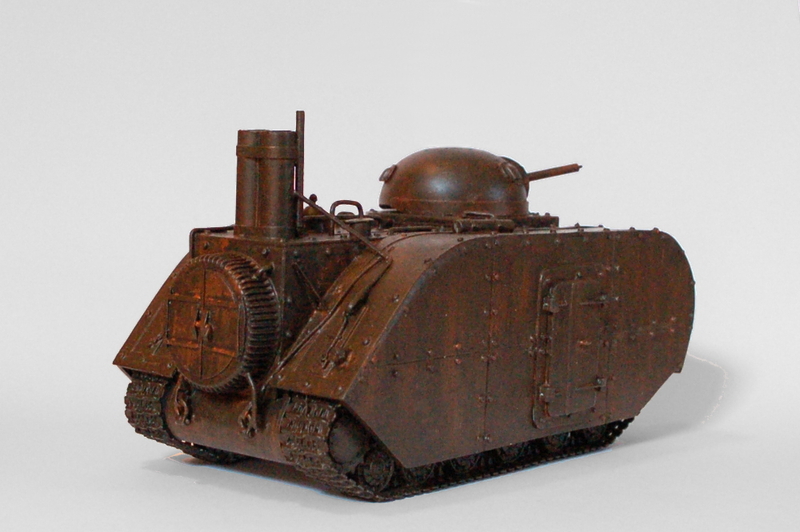 And now for the question that no-one has asked: what has been happening to the steam powered tank? Firstly it’s gone rusty. This was achieved by the usual method of painting everything rusty brown, spraying matt varnish over the top, then hairspray, and finally the ‘final’ colour. Even using a familiar method you can learn something new however, and on this occasion I learned that if you try and thin semi solid acrylic paint with Ethanol too many times the pigment separates from the carrier in a rather ugly mess. 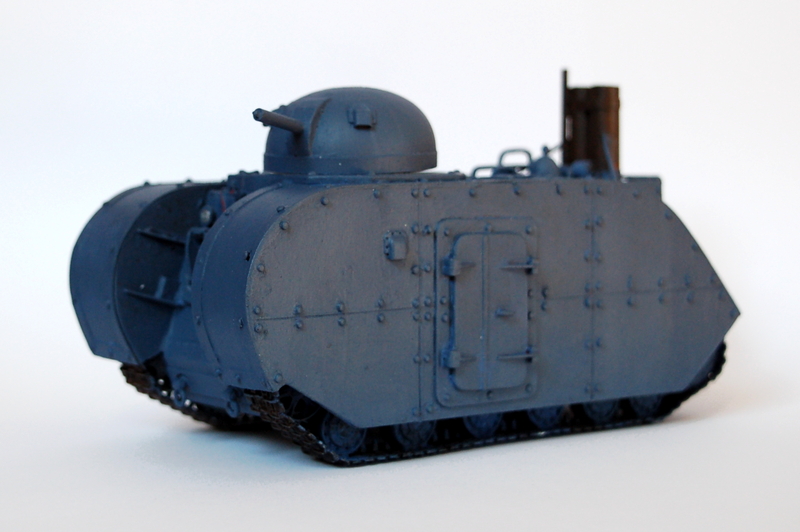 Having cleaned off the worst of this learning experience I tried to paint the model a rather nondescript blue/grey. 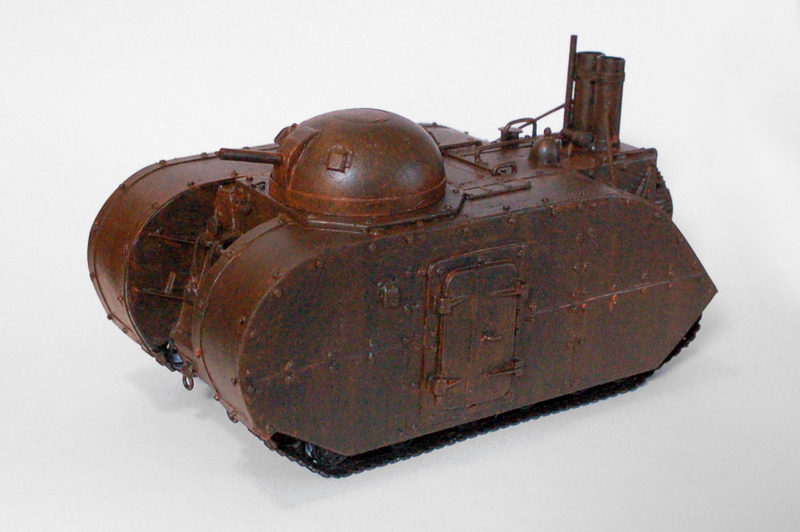 The idea was to make it look like the tank could belong to the British Navy, but not make it too obvious in case some other dastardly cad needed a steam powered death trap in a hurry. I’m not that convinced by the results thus far: it looks too dark and there’s no sparkle. I realise that a tank shouldn’t have bling and chrome trimming, but I think it needs something to lift it, possibly starting with a completely different colour. A lot of countries who have tanks like to paint them in camouflage. So why not imagineer a WW1-ish paint scheme working from things connected to the naval grey. & patterns used on European WW1 and inter-war tanks. 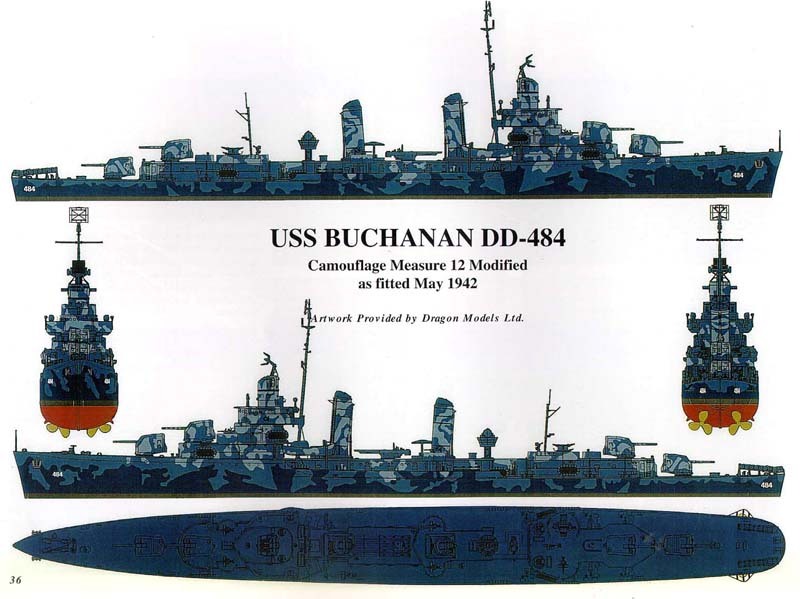 Could also be inspired also by the graded camouflage systems used on WW2 ships by USN. … paint a disruptive irregular pattern on lower 1/3 of hull using the green that RAF used in its grey and green WW2 camouflage. … then on upper 1/3 of hull & the turret do likewise with a light grey or light grey-green the RAF and Fleet Air Arm used on aircraft sides and undersides. This would also connect to the French tanks which used dichotomous schemes and the turret was different from the hull. Use the green on lower parts to break it up against the ground as a background. Hmm, didn’t expect it to actually show the image from the book review page, just to give the URL to click.. I actually like the grey and I think maybe a good dose of mud would elevate it? I also like Scott’s idea of the geometric camouflage but then it would make sense to to it in green.